The Allegrini family has been making wine in Valpolicella for several generations, though it was Giovanni Allegrini who really put this estate on the map through his innovative methods both in the vineyards and in the cantina. Today it is run by Giovanni`s children: Franco, who manages the vines, and Marilisa for the marketing of the wines. There are 45 hectares of vines which are situated in the townships of Fumane, Sant`Ambrogio and Marano. Allegrini produces an outstanding range of wines that includes Valpolicella Classicos, single vineyard Valpolicellas, Amarones and Reciotos. They are all made in a modern, intensely fruit-driven style, and the Amarone, in particular, is outstanding. 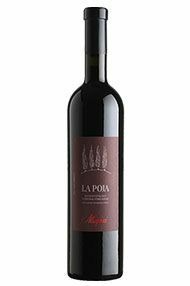 Fantastic Amarone styled wine from the tiny La Poja vineyard. Simply very special. The Allegrini family have been in the Valpolicella Classico region since the 16th century, and to this day make some of the best examples, producing wines of richness, charm and great personality. The late Giovanni Allegrini became the driving force of the company, the estate is now in the very capable and safe hands of his daughter Marilisa and son, Franco. Allegrini's winemaking philosophy is largely based on the concept of ‘cru’ production: single vineyards dedicated to the production of local varieties which produce a single wine. The wines from this cru method have been a success worldwide. 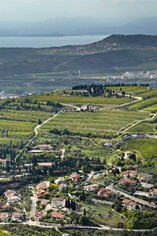 Palazzo della Torre and La Poja have set some of the highest benchmarks for Valpolicella's wines. The style of wine produced at the estate is, as you would expect from an Amarone producer, rich, opulent and expertly showing the soft and supple side of the wines of Veneto.